Highchairs, cribs and other durable infant products would be sold with a postage-paid registration card so consumers would be informed quickly of recalls, under legislation the House passed Tuesday. The registration bill was one of four the House approved in reaction to the recent spate of mass recalls of toys and other products found to pose possible dangers to young children. All of the bills now go to the Senate for consideration. A second measure, introduced by Rep. Bobby Rush, D-Ill., would increase the maximum civil penalty for violating the Consumer Product Safety Act from $1.25 million to $10 million. 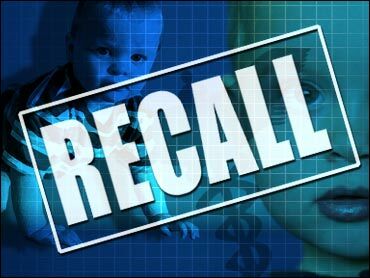 The recall registration bill, sponsored by Reps. Jan Schakowsky, D-Ill., and Fred Upton, R-Mich., instructs the Consumer Product Safety Commission to develop new standards requiring makers of some 12 durable infant or toddler products to provide consumers with a postage-paid registration form and maintain contact information to be used in the event of a recall. Consumers would have the option by registering by mail or e-mail. with assurances that the information they provide will not be used for marketing purposes. Currently people must rely on the media to spread the word on recalls, Schakowsky said. Her bill would "begin to close a significant gap in the recall system," she said, calling it a "commonsense solution to a very real and pervasive problem." Under existing law, car seats are the only child safety device that must come with a recall registration card. Manufacturers also would be required to permanently place the product's name, contact information, and the model name and number on each product. The bill is named for Danny Keysar, a 16-month-old who died when his crib collapsed in 1998, five years after that crib model was recalled. Passed a bill requiring new rules for tougher child-resistant caps on portable gasoline containers. Passed a bill requiring industry standards on swimming pool and spa drain covers to prevent children from being entrapped by powerful suction outlets. It also would provide grants to states to encourage enactment of pool safety measures. All four bills passed by voice vote. The civil penalty bill is H.R. 2474. The children's gasoline burn bill is H.R. 814. The pool safety bill is H.R. 1721.